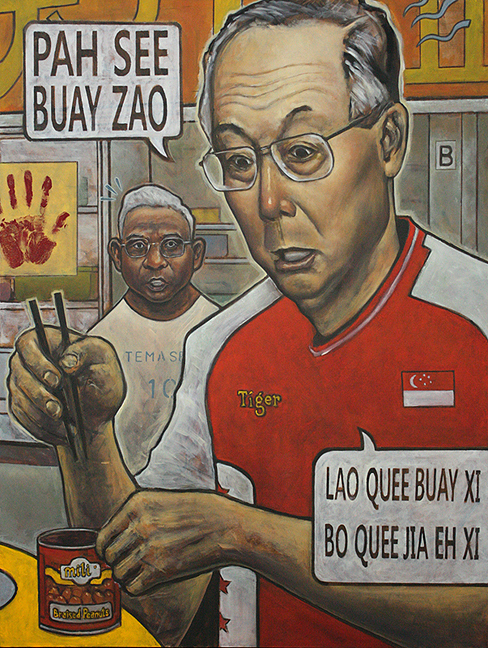 Final part of the “Eric Khoo is a Hotel Magnate” series, oil on canvas. The words in the balloons are in Hokkien, for the context: “Pah See Buay Zao” and “Lao Quee Buay Xi, Bo Quee Jia Eh Xi“. Another panel with Troy Chin is being moved to an earlier date (the 25th I think) .